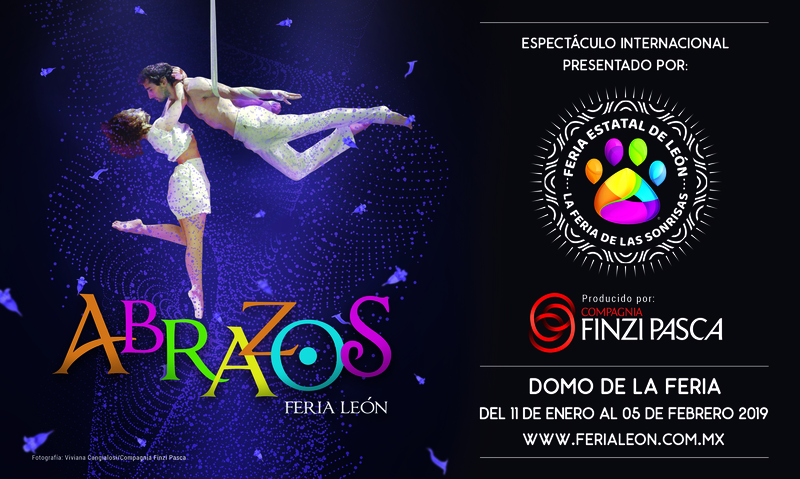 An interactive show addressed to families in the context of a traditional fair which is deeply rooted in the region’s history (XVII° century): the Feria Estatal de León (6 million visitors). A new creation where thirteen artists of the Compagnia Finzi Pasca perform theatrical, acrobatic, juggling and musical tricks, with the usual lightness and emotion. Abrazos also avails of new technologies supporting our “poetics of wonder and enchantment” (Daniele Finzi Pasca). A show that will get the public of León, the “city of shoes”, to smile, to dream and to embrace each other.